Community First has launched a redeveloped website for the Wiltshire Village Halls Association. 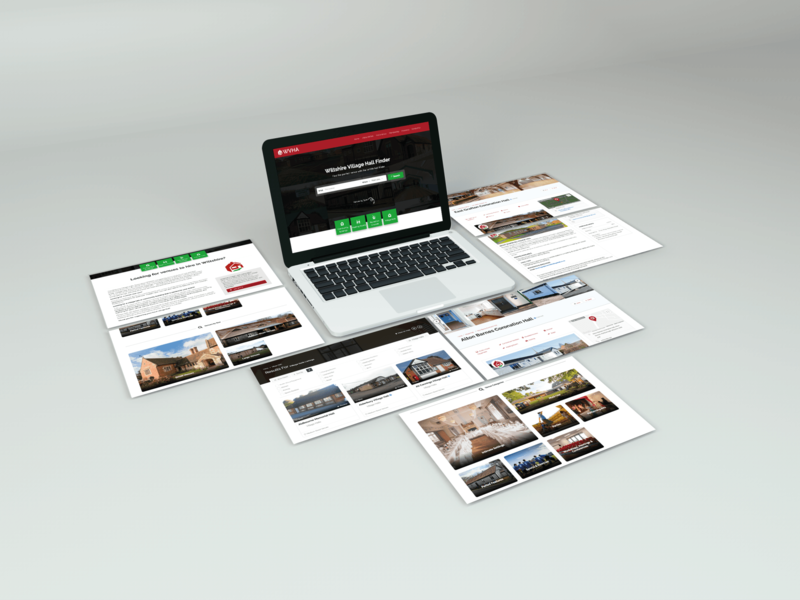 The new website, designed and developed by our in-house creative design and marketing agency Bold, makes it easier than ever to find the perfect venue for your event. It also showcases the hue variety of village halls and community buildings across Wiltshire and Swindon! Village Halls and Community Buildings are at the heart of communities in Wiltshire. Community First is committed to ensuring that local people know about and use these important community spaces, as well as ensuring WVHA members get the most out of their membership benefits. Following feedback from WVHA members, and a careful review of the existing WVHA website, Community First made a significant investment in a redevelopment project. The aim was to improve user experience, site performance and stability, as well as the overall look and functionality of the website. The redeveloped website has replaced the existing website at: wvha.org.uk. Whilst the domain remains unchanged, the new website offers significantly improved user-experience with advanced search and filtering and a new look hall profile page for members. Website visitors can now search and filter by a variety of categories, venue types and hall features, as well as searching by keyword and viewing halls on a map. Are you looking for a venue for your next event, private function or meeting? Visit Wiltshire Village Halls Association today! There are over 160 village halls and community buildings featured on the site, and you are sure to find the perfect venue.